Kids love play. Playing is how kids learn. Playing develops increased creativity. When working with kids under the age of eight, the coach will have increased impact if all activities are made into games. Coaches that are creative have tremendous success when designing lessons for these age groups. The sport or activity that is being played does not matter…play is what the kids want and it is how they learn. Play is done for its own sake and often looks very different depending on the participant. Play is not performed for a reward of any kind or because one is directed to do it. Children play because they want to and because the activity is interesting, challenging, and fun (Newfoundland Labrador). Effective planning – choose games that can be led by the participants in which they can even make up the rules. They must feel ownership. This is the biggest piece for success and where the session sometimes becomes ineffective through selecting coach led activities. Each child receiving a toy (ball being used in sport). 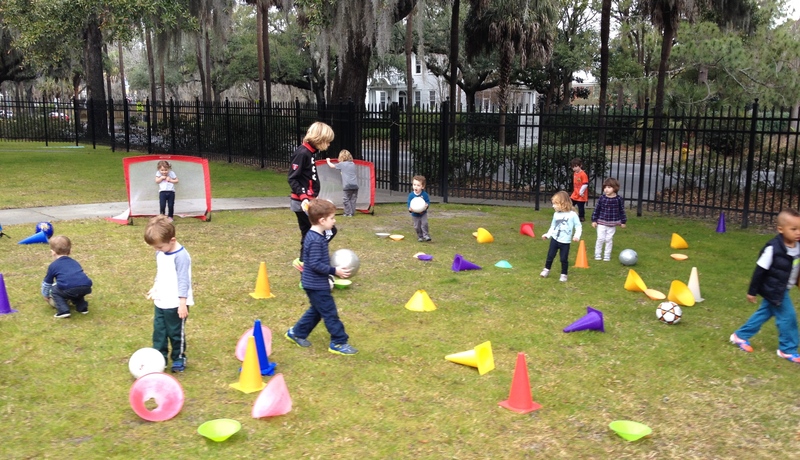 No coach or teacher lectures and no lines – Keep the activity moving and make it flow. Positive reinforcement if the coach feels a need to talk. Limit the coaching – Let the kids enjoy what they are part of for enjoyments sake. Play is our brain’s favorite way of learning! Create passion in young sport participants through fun games and letting them take the lead. This passion leads to greater interest in the sport as well as exercise and staying healthy as the participant gets older. You will be amazed at how much a child will learn when the focus is not on learning but playing and having fun!!! Thanks for more great commentary. I might add play involves success and failure. Teaching kids how to deal with both of these is extremely important. Good work. Good luck. Take care. Such a fantastic point on development and how to find success through play. Thank you so much for sharing!! !